After the Republican-majority FCC voted Thursday morning to repeal the net neutrality rules adopted in 2015, Democrats in Congress mobilized quickly to introduce legislation that could, with enough support, reverse the outcome. The Congressional Review Act (CRA) empowers Congress to use a “resolution of disapproval” to overturn rules passed by federal agencies, and to pass it only requires a simple majority in both the House and Senate. In other words, it may still be possible to prevent the rules enforcing net neutrality from being dismantled—without enduring a yearlong legal battle in US Court of Appeals. Introducing the CRA legislation also means that lawmakers can force their colleagues in Congress to choose a side, giving voters a chance to learn once and for all where their elected representatives stand on the issue of net neutrality. Sen. Brian Schatz, Democrat of Hawaii, is cosponsoring the Senate bill, alongside Sens. Ed Markey and Ron Wyden, among many others. (A House bill is also in the works, cosponsored by several Democrats including Rep. Mike Doyle, ranking member of the subcommittee on Communications and Technology.) 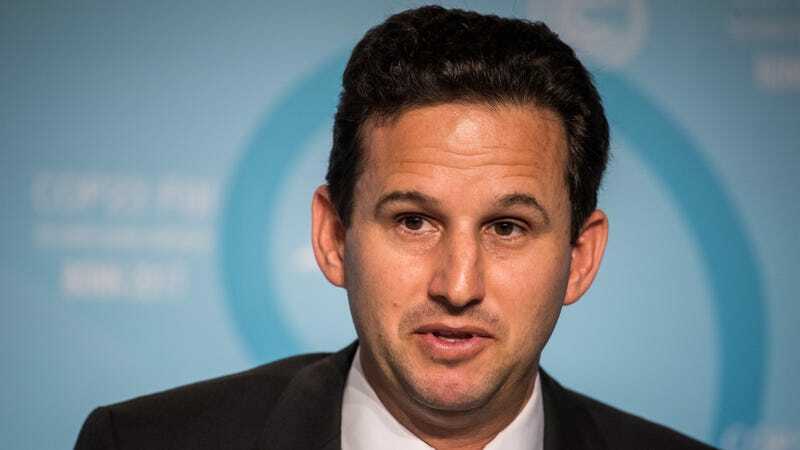 Thursday afternoon, Gizmodo caught up with Sen. Schatz after the FCC’s open meeting was over to get his take on the vote and what lies ahead. Gizmodo: Tell us your initial thoughts about the FCC vote today? Sen. Brian Schatz: Well, this is a direct result of us losing an election, and I think it’s really important for those of us who care about net neutrality to mobilize for 2018. It’s important and good to email the Federal Communications Commission, and it’s important and good to educate your friends via social media about what’s happening. But in a representative democracy, the way to get policy changes is through elections. We need a generation of net neutrality voters. People now really understand what’s at stake and we need to translate millions of comments to the FCC into millions of votes in the midterm. Democrats in Congress are mobilizing to combat the FCC using a CRA bill. Do you intend to support the Senate version and what do you think it will take to overturn the FCC’s decision? Schatz: Yes, I am co-sponsoring the CRA. But in a Republican Congress, it’ll be a heavy whip. I think we should do it anyway because I think it’s important for every voter to know where their elected representatives stand on this question. But we have to mobilize for elections. That is the only thing that strikes fear in the hearts of members of Congress. Not just angry constituents tweeting at them, but angry constituents organizing against them in the next election because the free and open internet is at stake. That’s what we have to do next as a movement. We’ve done a good job of educating each other. We’ve done a good job of mobilizing against the FCC. But the FCC had the votes at the beginning and they had the votes at the end, and that is because we lost the last election. So we’ve got to focus on converting all of this justified outrage into electoral power. That is absolutely doable, given the number of people who feel passionately about it, and the cross-section of people who feel strongly about it. This isn’t just a progressive issue. It’s important to conservatives online and just regular consumers who want to make sure they can get their streaming video on an uninterrupted basis. If the Democrats were to take back Congress in 2018, do you think they would try to pass legislation that would take the net neutrality issue out of the FCC’s hands once and for all? Schatz: I think we have to work multiple strategies at the same time. I think there’s a short-term legislative strategy; I think there’s a longer-term legislative strategy in terms of enshrining net neutrality principles into law rather than a rule; and I think there’s an election strategy. And not for 2018, but for 2020, people need to understand that the president of the United States determines the composition of the FCC. This is a result of Donald Trump being president. For anybody who cares about a free and open internet, we’ve got to be mobilized next year and a few years from now. Do you think President Trump knows anything about net neutrality? Is it the FCC driving this agenda, or Republicans in Congress, or is this coming straight from the White House? Schatz: You know, it’s hard for me to know. But this has been Republican orthodoxy for a while, and even though it benefits conservative organizers and thinkers online, it was still associated with Barack Obama. And I think on that basis alone, Republicans who know better have been opposed to it. There’s been a lot of controversy around the FCC’s public comment system, and in particular, millions of fake comments apparently bearing the names and addresses of Americans without their content New York’s Attorney General, Eric Schneiderman, has even accused Chairman Pai of obstructing an investigation into the fraudulent comments. Now that the vote is over, do you think this still warrants an investigation? Schatz: I think they have not explained what happened, and they have an obligation to not just explain what happened but to ensure that it doesn’t happen again. I can’t speak to what [New York] Attorney General Schneiderman or others are doing, except to say that this undermines public confidence in the process, and their job is to sort out the fraudulent comments from the legitimate ones. They haven’t done a good job of that yet. On this issue, I feel like they need to do more explaining of what they’re up to and take it seriously—separate and apart from the battle over net neutrality, they just have an obligation. If a federal agency’s comment system was essentially subjected to a cyberattack, they have to explain what happened and how that may or may not have influenced their decision making and how they’re going to prevent it from happening in the future. I don’t know if you saw, but Gizmodo published a video last week that showed Chairman Pai and a Verizon executive performed in a skit about installing a “Verizon puppet” on the FCC. Do you think that joke was appropriate? Schatz: No, and I think it goes to how people view Washington interaction with corporations: Everybody’s chummy, and this is all a game and a big joke, and we can all enjoy ourselves at some fancy dinner. And so, you know... let me put it this way, I personally like Commissioner Pai. But this action and the kind of casual joking around the action, it reinforces everything that is frustrating about Washington for your average person.